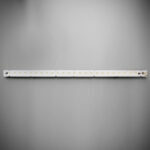 Anders from OptoDrive™ is a flexible range of linear modules perfect as a strip lighting replacement. 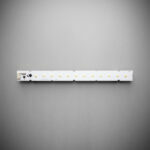 Ranging in length from 270mm to 840mm and offering a minimum of >Ra80 CRI to >Ra90 CRI. Anders is available in warm, neutral and cool white and the entire range is dimmable. With lumen outputs ranging from 320lm to 3000lm the Anders has excellent properties for new product design.